Pyotr Ilyich Tchaikovsky was riding high from the success of his ballet The Sleeping Beauty when he was commissioned to compose a double-bill program for Imperial Theatres- an opera and a ballet. This included Tchaikovsky’s last opera Iolanta and The Nutcracker, choreographed by Marius Petipa, who collaborated with Tchaikovsky on The Sleeping Beauty and was the Ballet master at the Imperial Ballet. The storyline was sourced from Alexandre Dumas père’s The Tale of the Nutcracker, which in turn was adapted from E.T.A. Hoffman’s story The Nutcracker and the Mouse King. Petipa streamlined the plotline of the ballet to center on a little girl who receives a magical nutcracker as a Christmas gift, and enters an otherworldly realm of treats, toys and ethereal beauty. Lev Ivanov stepped in to assist Marius Petipa as his health began to fail, and though it’s believed Ivanov choreographed a large percentage of the 1892 Nutcracker premiere performance, Petipa was still credited as the choreographer on all the St. Petersburg promotional posters. Which, at least as far as the critics were concerned, wasn’t such a high honor. When The Nutcracker debuted at the Imperial Mariinsky Theatre in St. Petersburg on December 18, 1892, the critics generally gave high marks to Tchaikovsky’s score, but ruthlessly panned the ballet’s choreography and storyline. Unfortunately for its creators, audiences largely agreed with the critics on this one. But the music was a good core that later choreographers could work with. And work they did, with each iteration trying to address the criticisms of previous performances, all set to Tchaikovsky’s amazing score. The Nutcracker was first performed outside of Russia in England in 1934. It was brought to the United States in 1944 by the San Francisco Ballet (though an abridged version had been presented in New York City in 1940). But it wasn’t until 1954 in NYC when the version of the ballet with George Balanchine’s staging began appearing that The Nutcracker’s popularity began to really rise. 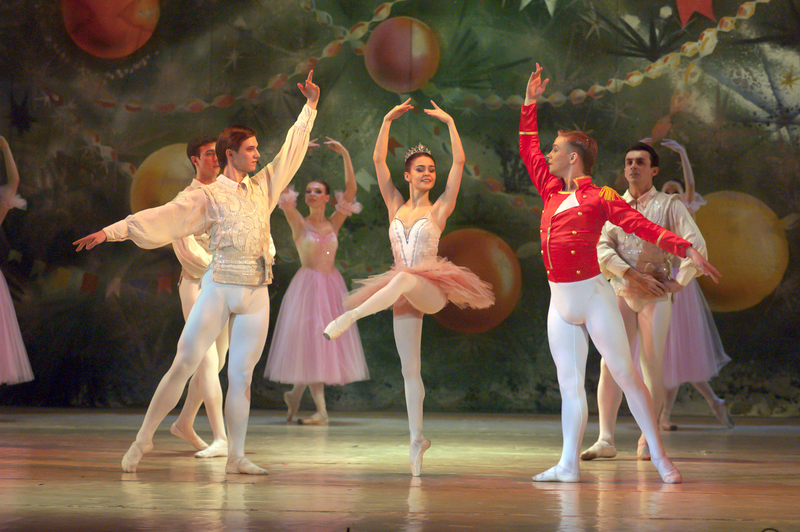 Thanks to various improvements made over the years, from the late 1960s, when it hit its stride with audiences (with it not uncommon today for this work to earn nearly half of the annual revenues for a given dance company), The Nutcracker has taken its place with Scrooge, Santa, Bing Crosby singing “White Christmas,” Rudolph, and other holiday icons that make Christmas feel – Christmassy.